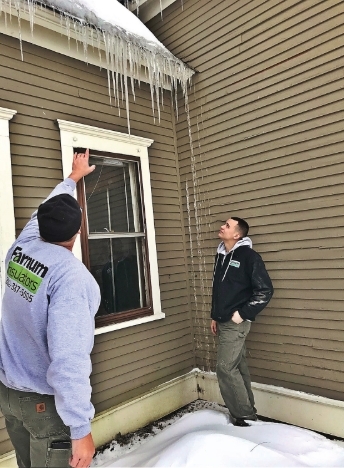 Farnum Insulators serves Woodstock VT homeowners and businesses with Spray Foam, Cellulose, Basement, Blown-in Insulation services. Woodstock, Vermont home insulation experts offering spray foam, cellulose, basement, blown-in insulation services – call us at (802)387-5005. Woodstock, VT is the shire town (county seat) of Windsor County, Vermont. As of the 2010 census, the town population was 3,048. It includes the villages of South Woodstock, Taftsville, and Woodstock. Woodstock was named "The Prettiest Small Town in America" by the Ladies Home Journal magazine, and in 2011, North and South Park Street and one block of Elm Street won an award for great streetscape by the American Planning Association's "Great Places in America" program. APA looks at street form and composition, street character and personality and the overall street environment and sustainable practices. The Billings Farm and Museum is a local tourist attraction. The land and farmhouse were owned by Laurance Rockefeller and his wife Mary French Rockefeller. The farm and museum include an operating dairy farm and a restored 1890 farm house. As a Certified Contractors Network member company, Farnum Insulators is committed to observing the highest standard of Integrity, Frankness and Professional Responsibility in dealing with Woodstock, Vermont homeowners and business owners.